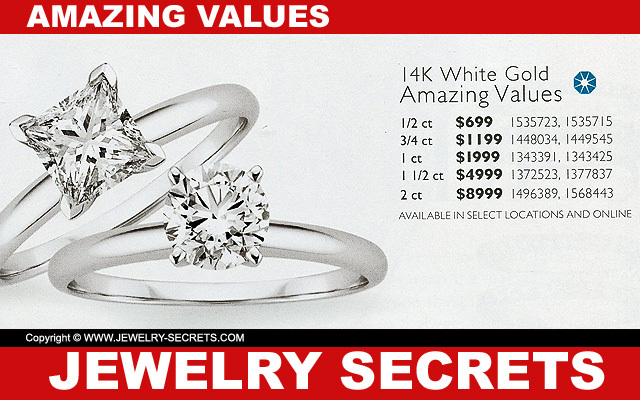 SHOPPING FOR AN ENGAGEMENT RING BY PRICE ONLY! No matter how much I emphasize diamond quality, some people just don’t care to learn, or they think that all diamonds look alike anyway. So many people simply judge a diamond by how good it looks in the light. Does it sparkle? Is the ring pretty? Dainty? Elegant? And I’d probably be right. So does price influence your buying decision? But is it the only thing you look at? Or do you still want a decent quality and get the best deal you possibly can?